What Do Wasps, Hornets, and Yellow Jackets Look Like? 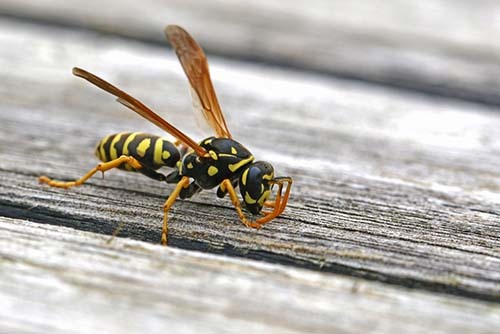 Wasps and hornets are flying insects that can be both beneficial to the environment and cause damage to homes. 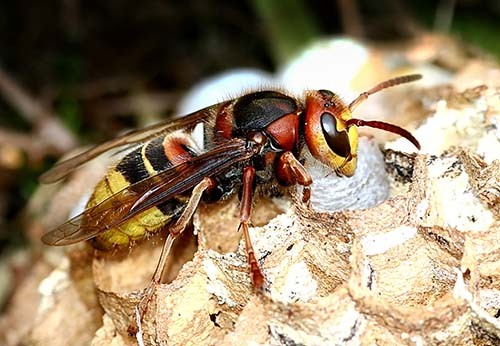 Although wasps and hornets are different species of pests, they are commonly associated together, and the same methods are used to get rid of both. Yellow jackets are among the most common species of wasps in the United States, along with paper wasps, red wasps, mud daubers, and ground wasps. 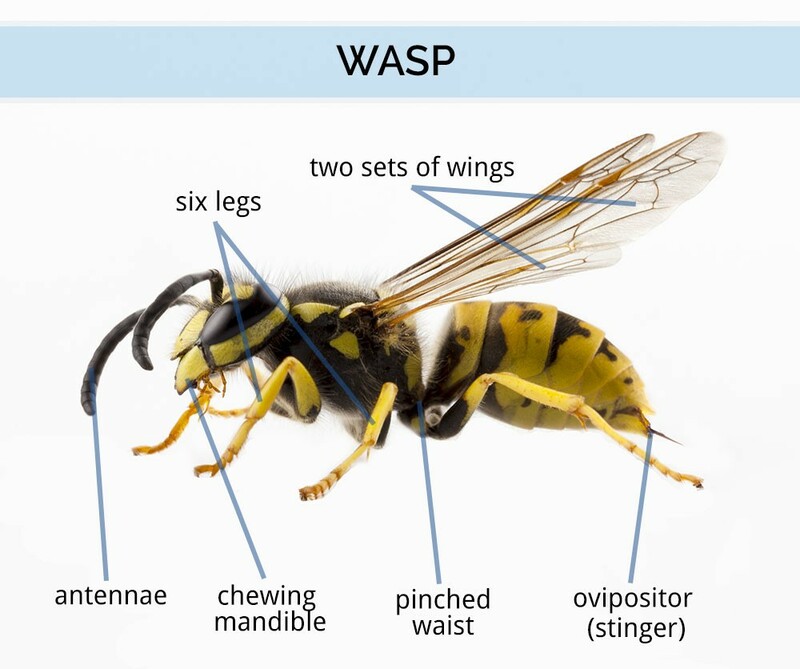 Wasps vary in appearance based on species but do share some common characteristics. Only one species of hornet, the European Hornet, lives in North America, while many species of wasps do. Use this guide to determine if you have wasps, hornets, or other pests around your home or office. Then, read our guide on how to get rid of wasps and hornets for treatment options. Wasps range in size depending on their age and species. 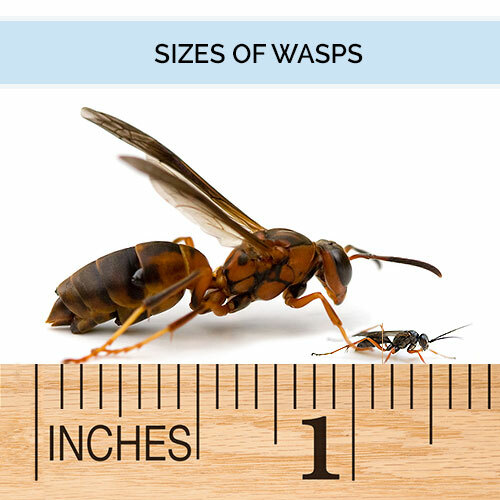 Wasps are typically 1/4 inch to 1 inch long. Wasps have 2 sets of wings and 6 legs. They have antennae and "pinched-in" or hourglass waists. They also have chewing mouthparts (mandibles) to chew prey and other food sources. Female wasps have stingers (ovipositors) which are used to lay eggs. They will also use the ovipositor to sting when threatened. Wasps vary in color, from a metallic blue to a dull red to solid black. Red wasps, like their name implies, are red. Mud Dauber wasps are black. Yellow jackets are most commonly known for their yellow and black striped bodies. Read our yellow jacket identification guide to learn more. 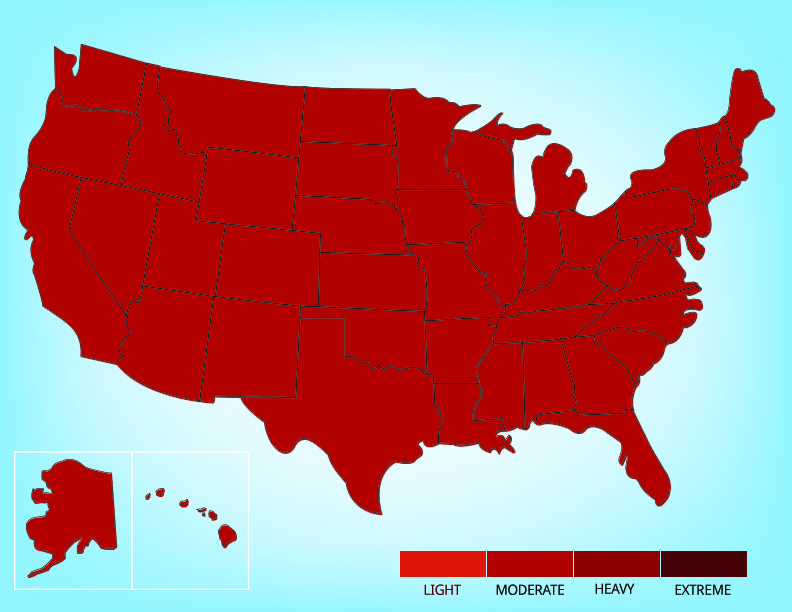 Wasps can be found across the United States. The European hornet is the only species of hornet to live in the United States. European hornets are brown with yellow and orange stripes. Their wings are gold-brown. If you have wasps or hornets, read our guide on how to find a wasp or hornet nest to identify the source of the pests. Click the right arrow below to learn more. 389 of 444 people found this article informative and helpful.